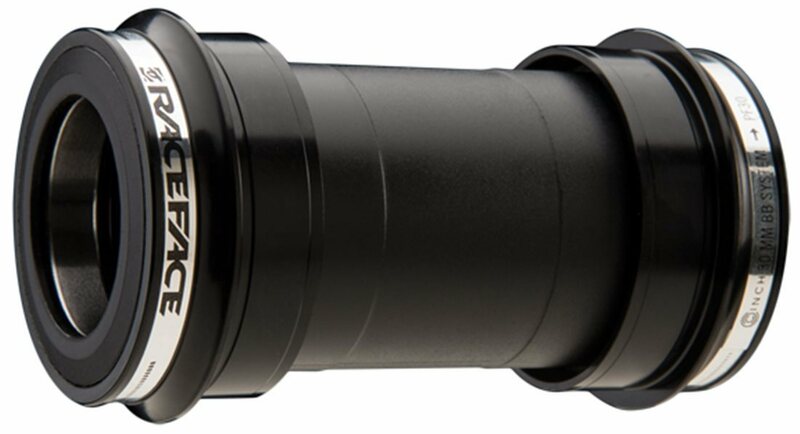 The Race Face PF30 30mm Bottom Bracket was made to work with their new Cinch interface system. The Cinch system uses a 30mm spindle to provide a stiffer bottom bracket/crankset interface. If you've got one of the new Race Face Next SL cranks and a PF30 frame, this is what you need! Delivery is always on time and very quick to my doorstep. Came fast and on time as always. Straight forward application. If you have a PF30 interface, and use a Raceface crank, this is for you. Follow the directions on spacer/no spacer reasoning and you're good. No second chances if removal is needed. Bearing sleeve typically gets damaged upon removal. light weight, cheap feeling , but once installed, they look good and ride great. i have a aera 3,9 carbon frame, and i want to use a turbine cinch crank is this the bottom bracket i need to use? BEST ANSWER: Hi. You must go to the frame makers website. The specs for the frame will be there. Its the only way to know. All frame mfg spec the exact bottom bracket size. Hi. Im not familiar with your frame manufacturer "Aera?". If its specified on there web site you will need to take it to your local shop to have the BB shell measured. One note about the cinch system to look out for. I purchased mine for a 2013 Demo Eight DH frame along with the compatible Atlas cranks. Both pedal treads stripped out after 2 days at the bike park. I had both HELICOIL'ed and use blue Locktight on the pedal treads. I have a Jet 9 and replaced my Shimano pressfit BB with this one and it works perfectly with my cinch crank set. I have a niner carbon frame and that is the exact setup i have it works great. Does this fit a ID 46mm BB?